Malaysia's first 2-in-1 message and e-wallet app, UChat brought Thailand's signature water festival, Songkran to Malaysia last weekend. Held for 2-days, UChat Songkran Day-Out Festival entertained us with water-themed activities during the day and exciting performances from international and local celebs during the night. 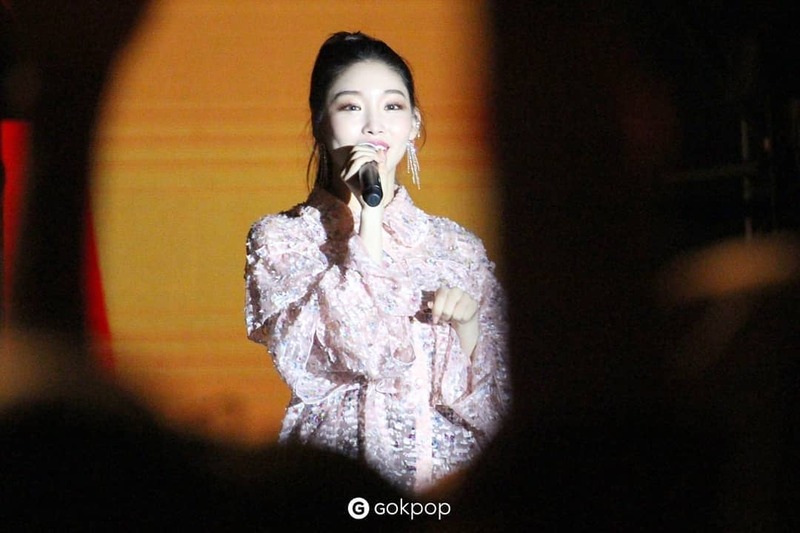 Korean solo diva, CHUNG HA was one of the international acts to perform on the 2nd day of the festival held at Setia City Oval Lawn. Despite heavy rain showers yesterday, hundreds of fans underneath umbrellas and raincoats, waiting to watch their favourite artists. 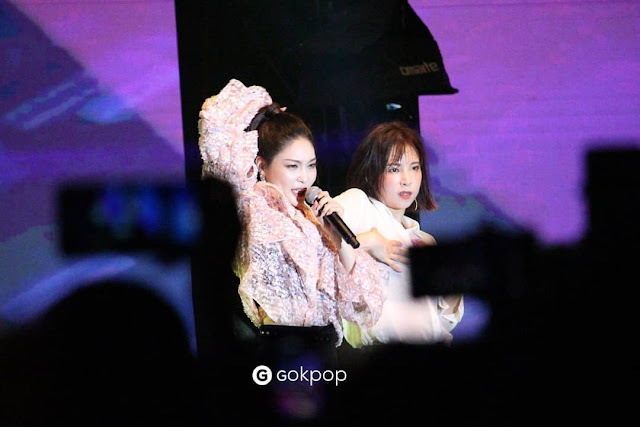 The show opened with Malaysian YouTube sensation, Priscilla Abby followed by performances from singer-turned-actress Elizabeth Tan and German-Thai singer, Jannine Weigel. CHUNG HA, however, was scheduled as the last performer of the festival. The atmosphere burst with excitement when CHUNG HA got up on stage and performed her hit dance track, Gotta Go. Next followed was the lovely track, 'Pit-A-Pat' which is also the OST of drama Strong Women Do Bong Soon. 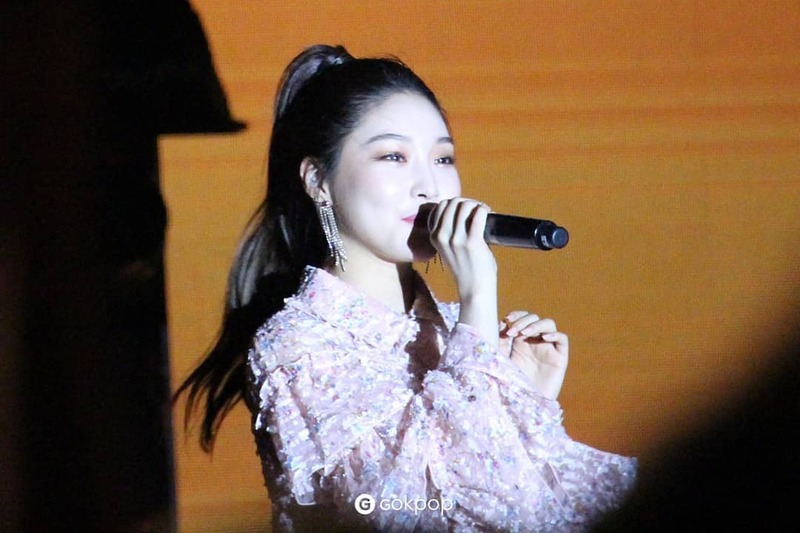 While delivering her heartfelt and captivating performance, CHUNG HA also took her time to interact with fans, asking what songs they would like to listen next and even pointed at fans who held her lightstick and banners. CHUNG HA then continued with her hit tracks, 'Roller Coaster', 'Why Don't You Know' and wrapped up with her rendition of 'BANG BANG'. CHUNG HA first performed the self-choreographed dance track 'BANG BANG' at the survival program Produce 101, proven herself as the dancing queen. This time, CHUNG HA not only showcased her skilful dance moves but also captured our attention with her powerful voices. We were totally impressed when she hit those high notes during the performance. 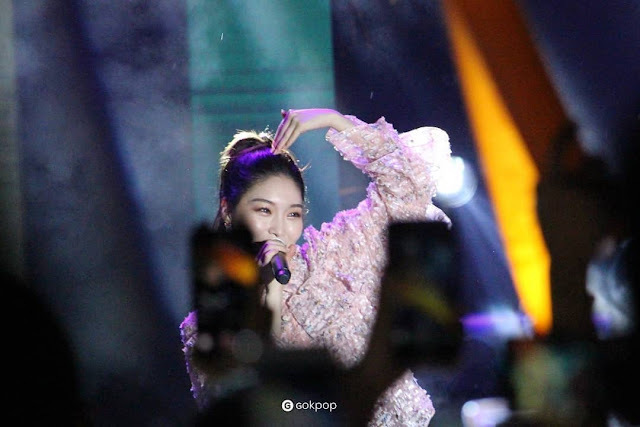 CHUNG HA's performances are just too perfect to close out the 2-days UChat Songkran Day-Out Festival. Hopefully, CHUNG HA will return to Malaysia for a full-scale concert soon. Thank you UChat for the invitation.